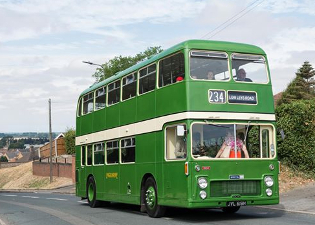 Car Running Day (Bank Holiday Monday 27 August) - list of cars in operation added. 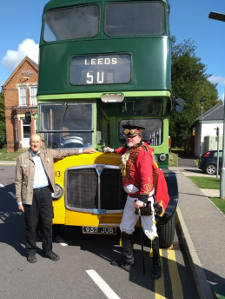 Sleaford Bus Event (Saturday 1 September) - list of buses updated. 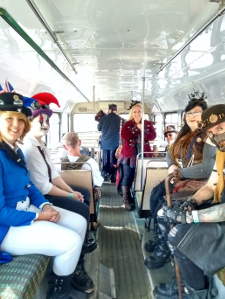 Transport Festival (Sunday 4 November) - details added, including connecting bus from / to Newark Northgate Station. 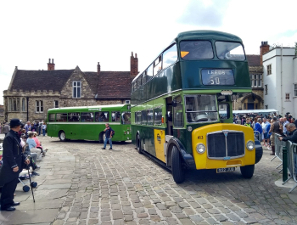 Some of our vehicles took part in the 'RAF 100' Lincoln 1940s weekend on August 11 and 12 2018. 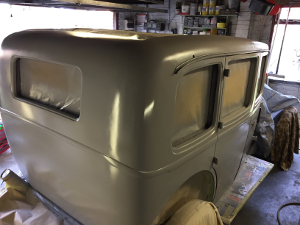 Closer to painting : 5 - 6 August 2018. 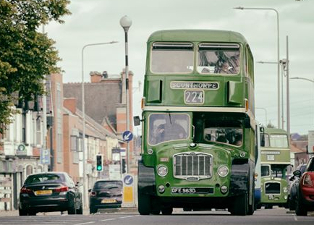 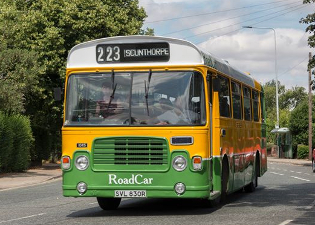 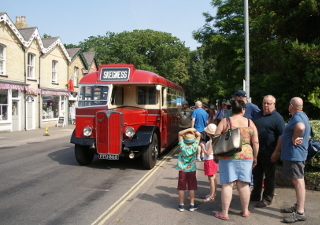 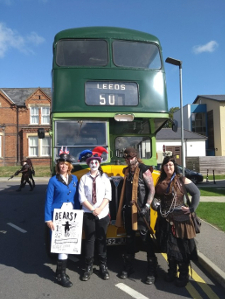 A number of former Lincolnshire Road Car buses belonging to our members returned to Scunthorpe on Saturday 21 July and re-created some of the town's former bus routes. 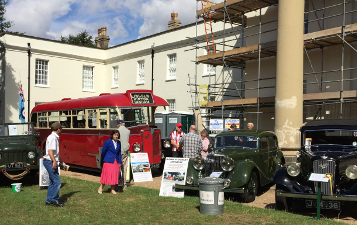 Museum resident FFU 860, 1949 AEC Regal III, took part in the Woodhall Spa 1940s Festival on 7 / 8 July 2018. 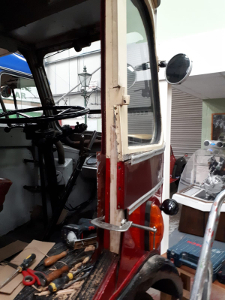 The cab door pillar has had some recent repairs. 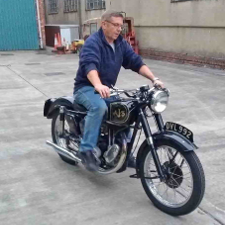 The AJS - and 610 BRM (our 160 Velocette Viper) have been checked over and started up prior to an appearance at the Castle Rally. 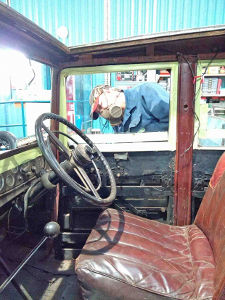 After much research, some new shrunken buffalo leather for renewing the seats has been produced by a member of the Vintage Austin Register. 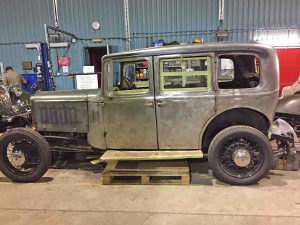 We have an experienced Austin specialist in mind for fitting it over the winter. 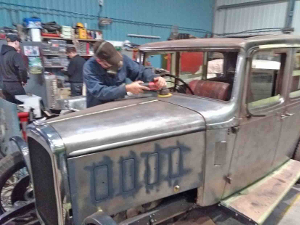 Many hours have gone in to preparing to paint the 16. 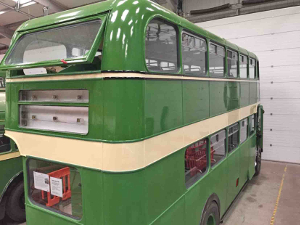 Mounts have been made to support the wings, bonnet and other panels. 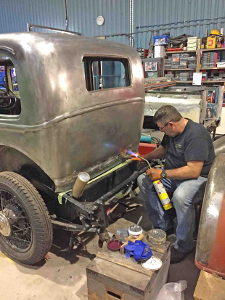 The body has been sanded back to bare steel, and the welded seams and joints have all been leaded using traditional techniques. 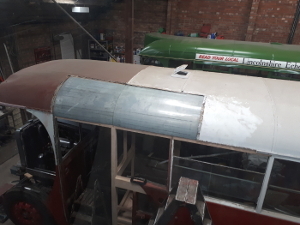 Now the sunroof timber has settled it can be removed so it can be covered. 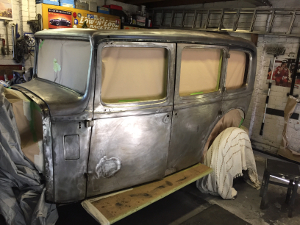 The body can then be primed and filled and finally flatted back ready for top coating to original colours. 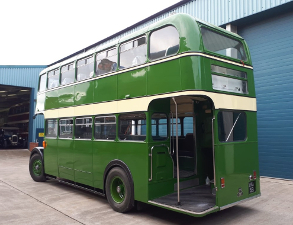 The new stainless steel exhaust has now been fitted and the fitting of the wiring loom is nearing completion. 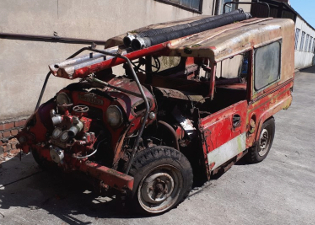 The Society has been searching for quite a while for a fire pump for the Gipsy. 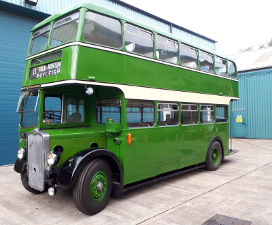 After being outbid on several occasions, we have now managed to acquire an extremely rotten but complete Gipsy from which the pump has now been stripped off and the rest broken for useful parts. 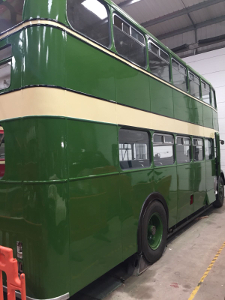 'ONO' is getting closer to being finished - the gloss coat is now complete and the lining out in black is now starting. 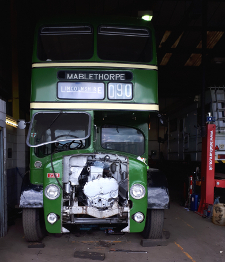 The Lodekka is still away at Lincolnshire Co-operative having engine repairs. 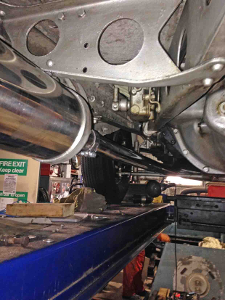 Number 23's engine is back in place after a complicated rebuild. 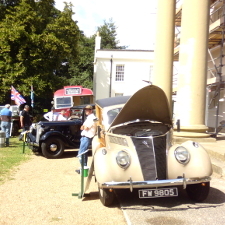 The Triumph has now left the Society's collection.